Helemaal gebaseerd op Kant en volgers. Spinoza komt – uiteraard – niet aan de orde. 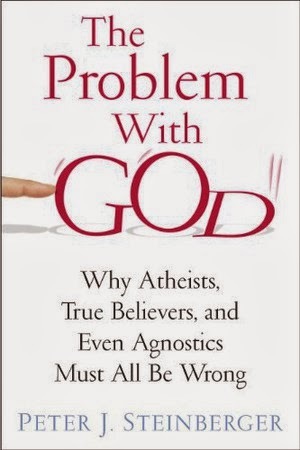 De uitgever: "Whether people praise, worship, criticize, or reject God, they all presuppose at least a rough notion of what it means to talk about God. Turning the certainty of this assumption on its head, a respected educator and humanist shows that when we talk about God, we are in fact talking about nothing at all — there is literally no such idea — and so all of the arguments we hear from atheists, true believers, and agnostics are and will always be empty and self-defeating. Peter J. Steinberger's commonsense account is by no means disheartening or upsetting, leaving readers without anything meaningful to hold on to. To the contrary, he demonstrates how impossible it is for the common world of ordinary experience to be all there is. With patience, clarity, and good humor, Steinberger helps readers think critically and constructively about various presuppositions and modes of being in the world. By coming to grips with our own deep-seated beliefs, we can understand how traditional ways asserting, denying, or even just wondering about God's existence prevent us from seeing the truth — which, it turns out, is far more interesting and encouraging than anyone would have thought."